Pastel Green and Orange Nokia N9? I’m not sure where pocketnow got this, it could easily just be a photoshopped image. That could be why the Joker is there. 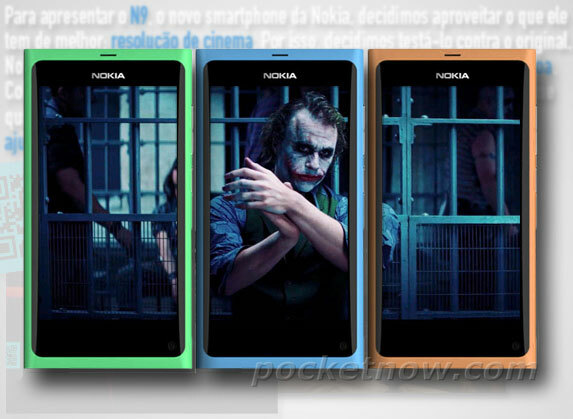 Here is possibly two more colours for the Nokia N9, a pastel light green and orange. I vaguely remember a different screenshot of some N9’s with different colours other than the original blue, black and pink. It is normal Nokia procedures though to have several different colours and gradually limit these to a smaller selection that will hit the market. Cheers Raj for the tip.